...you need all the finest elegance and comfort that luxury transportation has to offer. Well, we've got what you need! Our refined yet, ostentatious selection of buses and limos are a perfect choice for any special day you might have planned. Below, is but a small sample of what we offer. We invite you to click or tap on any of the images below to get a better look at the excellence offered by our premier selection of vehicles! There's a lot of great info here, please take a look around! Do you have a party in mind and would want to surprise your friends, guests, and loved ones by holding it in a unique, unconventional, and stylish venue? Tired of the usual party house or restaurant as venue for your birthday or for that important gathering? We have just the solution to answer your prayers and give you a night out with your friends you won't forget. 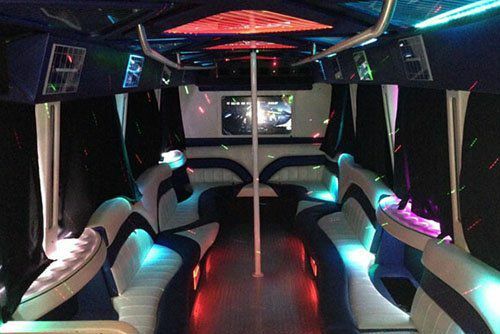 Our luxury transportation vehicles are your own VIP night club on wheels! It's not just ground transportation to and from a night on the town, it is your special venue to party in style. Fort Worth Limo is the right rental choice for you. 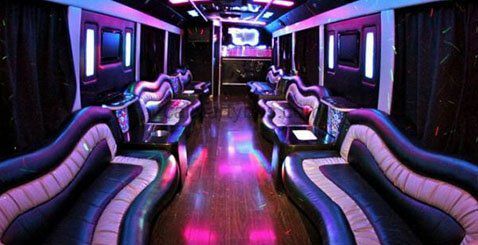 While we are primarily a bus company, we provide the best party buses and limousines around the greater Forth Worth and Dallas Area. Yes, you can hold your parties, meetings, events and any special occasions inside one of our modern and fully-equipped vehicles - without ever stepping outside! We never restrict the event or special occasion you use our service for. Since you're the customer, we feel that you are the boss for your special day. We have been providing the best transportation services ever since we opened our doors. Our vehicles makes every party and special events more fun and memorable for you and your friends. We own only late model vehicles that are uniquely designed to suit the mood of any party. 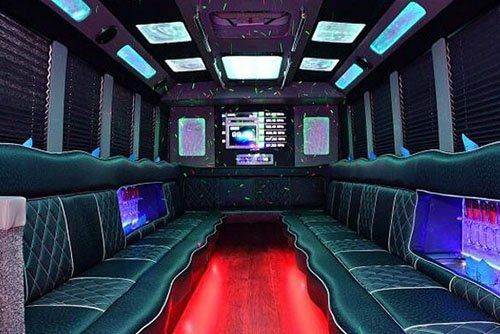 Each of our buses are also equipped with the latest audio and video technologies, and are furnished with all the amenities you typically expect in top-of-the-line party buses. Not only do we have all of the latest buses and limos but we are constantly upgrading them to make sure we can exceed your expectations every time we pick you up. Anything less than the best is unacceptable when taking you out on the town, heading to prom in one of our limos, all the way to your wedding transportation. Not to mention, we take pride in providing excellence for any and all special occasions in between. We also offer limousine rentals for city tours, family weekend getaways, or sight-seeing around Forth Worth and neighboring areas. 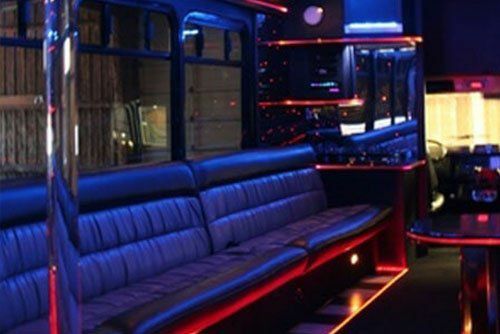 With Party Bus Fort Worth, you won't have to worry about the hassles of traffic and parking spaces. You will be dropped off and picked up at the door of any venue you visit stress free like a true VIP. Just enjoy the company of your friends or loved ones as our professional chauffeurs specialize in handling your ride door to door. As you may expect we spend a lot of time in Dallas, Texas as well as Fort Worth. Our clientele very often need chauffeured transportation all over the Dallas/Fort Wayne area for corporate events, winery tours, Dallas Cowboy games, bachelor parties, bachelorette parties, anniversaries, homecoming, or any other special event they wish to make unforgettable. 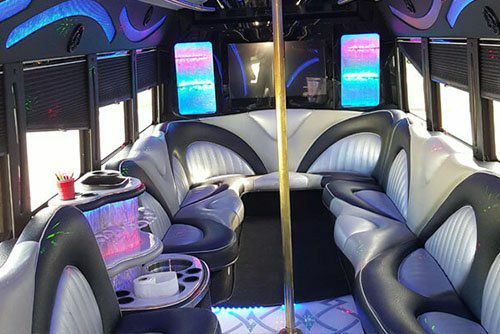 So when you are looking for VIP limo car service or just want to impress a prom date in the DFW Metroplex... you now know the perfect limousine company with the luxury vehicles and professionalism that meets your expectation. Have a blast, before you arrive! No event is too big or too small for our dependable transportation service. Call us today and let's discuss how we can transform your party into a memorable event. We are here standing by 365 days a year with 24 hour phones to get you a quote before you book a limo for your next large group outing. With beautiful venues like Feragne Villa, Thistle Hill, or 809 Vickery available for weddings, you'll want transportation just as beautiful. We've got the most elegant vehicles of any local transportation company and they will look just stunning in your wedding day photography! Be sure and ask us about our wedding day specials and discounts. 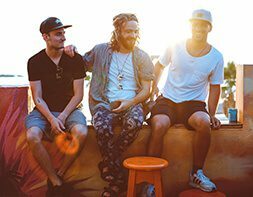 Whether it's a guys' night out for no reason at all, or perhaps you have a raucous bachelor party planned to celebrate your last night of freedom before you tie the knot. It is so awesome to head out with your buddies for a night on the town. Visit all the best bars and restaurants and never have to worry about a designated driver! 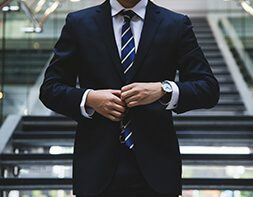 We serve business customers as well as personal customers, and we would love to help you to maximize your drive time when you're heading to corporate meetings and conventions. The features that look like entertainment features for our personal customers turn into excellent business features for our corporate customers! Our pro chauffeurs know the highlights of our city better than anyone else, so you can head out with family members from out of town and really show them an amazing time with your driver taking you to all the hot spots. 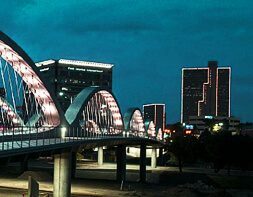 Visit local landmarks and attractions like the Fort Worth Zoo or the Modern Art Museum, or whatever you've got in mind! Some more of our popular event services! 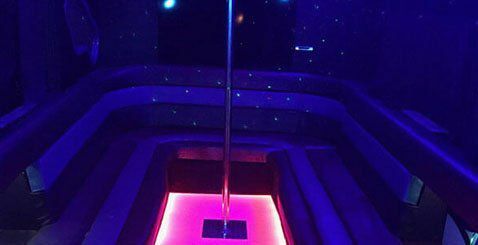 Birthday Parties - Birthday parties are one of the best times to give us a call, to live it up in the limo bus, packed with balloons, bumping all your favorite tunes. Head out to your favorite bars and clubs, try out the best restaurants in town, and treat yourself to a really mind blowing night out. Baptism - You might not think that a baptism is an event that calls for limousine, but you'd be surprised at how many families take advantage of our super cozy vehicles so that they can all travel to the church and banquet hall in style and comfort. 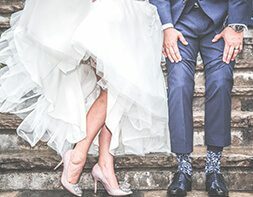 Engagement Parties - If you've finally decided to tie the knot and you really want to celebrate your engagement in a big way, there is no better transportation for that celebration than ours! Have all your loved ones pile into one vehicle and enjoy the entire day without wasting any of it on drive time! Family Outings - Limo buses aren't just made for wild nights out, they are also really ideal for traveling with your family all in one cozy vehicle. You can stock the bar with juice, bottled water, and snacks, and head out for a day of shopping or museum tours or whatever you like! It's your own field trip and the places you go are up to you! Intimate Dates - While you tend to think of a limousine or bus as a choice for large groups, it can be intensely romantic with just your significant other! You'll enjoy all that space to yourselves and the incredible entertainment features will give you even more enjoyment! If we don't have what you're looking for be sure to find a reputable company in the area that has precisely you need. We recommend if you need Dallas Limousine Service to be sure you deal with one of the best companies out there. Besides our company, you'll find that there are other diamond's in the rough. But, be sure you look out for reviews or even better, word of mouth. If you need service outside our beautiful area try these companies in Chicago, Detroit, or Detroit for the Midwest. For other areas try Atlanta or New York City. Another luxury transportation service we highly recommend trying in the Metro Detroit area is Farmington Hills. We are sure they will be able to help you for your event outside of DFW Limo service area, but if not give us a call and we will set you up with the right company who can handle your point to point group transportation needs reliably and professionally. 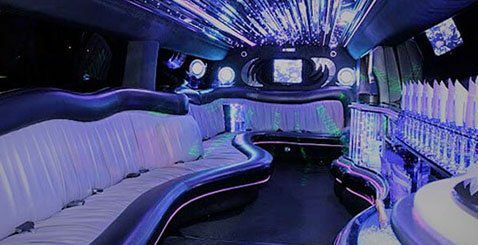 Regardless of what you're looking for... wedding limo service or perhaps you and your friends are looking to blow off steam at a concert, a prom, a birthday bash, or just to enjoy life in an unforgettable night to remember!